Brindabella Hills Vineyard Cafe is open from 11.00 AM to 4.00 PM each weekend for delicious dishes to compliment your wine. The Brindabellas are the mountain backdrop to the national capital Canberra. 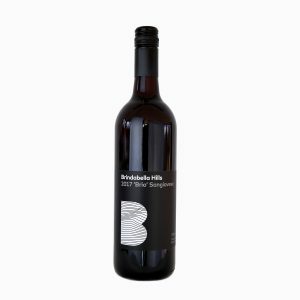 Brindabella Hills vineyard and winery are situated 25km north of Canberra on a ridge above the Murrumbidgee, with the beautiful mountain ranges to the west. Ringed by hills, this protected site with its well drained granite soils offers a perfect environment for the production of premium grapes for table wines. We are open for cellar door tastings and sales from 10am to 5pm, Weekends and public holidays, and for sales only on Weekdays. Our wines are available from fine wine retailers and restaurants in Canberra, Sydney and Melbourne, or you can order them direct from the winery – see our Online Store for more details. Recently awarded Top Gold – Verve and vigour aptly describe the lively flavours and texture of this wine. Made from the Brunello clone of Sangiovese, it has spicy aromas, black cherry fruit and savoury firm tannins. Harvest Festival is finally here!! We are open and ready for a weekend with a huge sale - 20% off the award winning 2018 Riesling. The cafe have created a special dish to match the 2018 - a spicy chicken and prawn laksa with Asian julienne veg and rice noodles. Cafe bookings essential - 02 6188 5405 WINE - FOOD - LIVE MUSIC #HillsofHall #HarvestFestival19 #brindbellahillswinery #vineyardcafe #winesale Cellar Door Open 10am-5pm Vineyard Cafe Open 11am-3pm for lunch (bookings essential), platters from 3pm onwards.